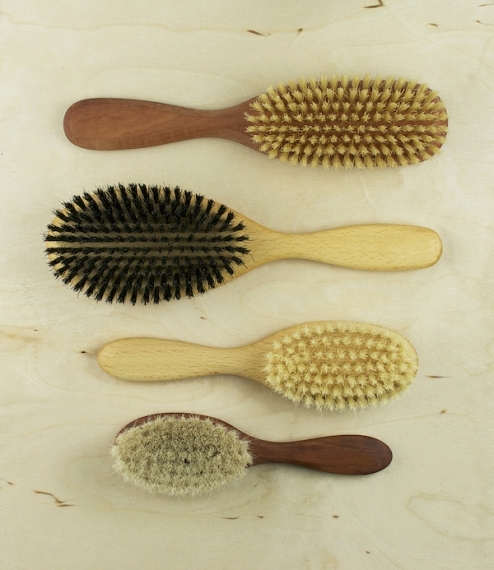 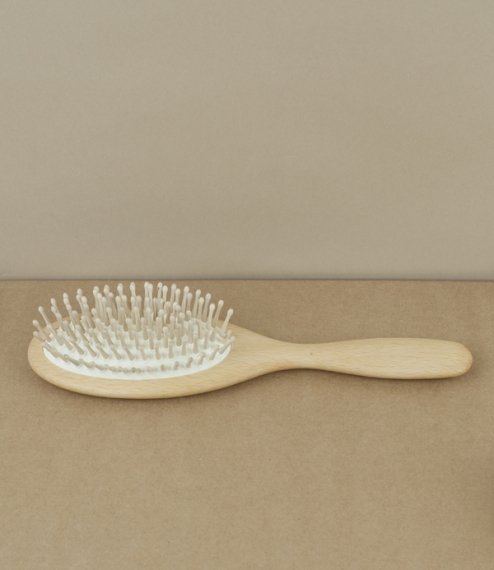 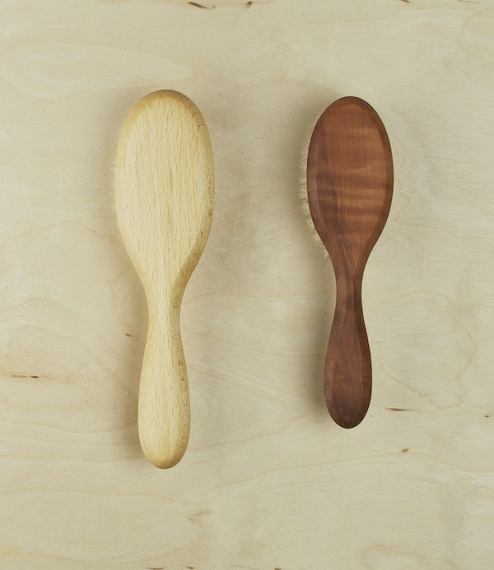 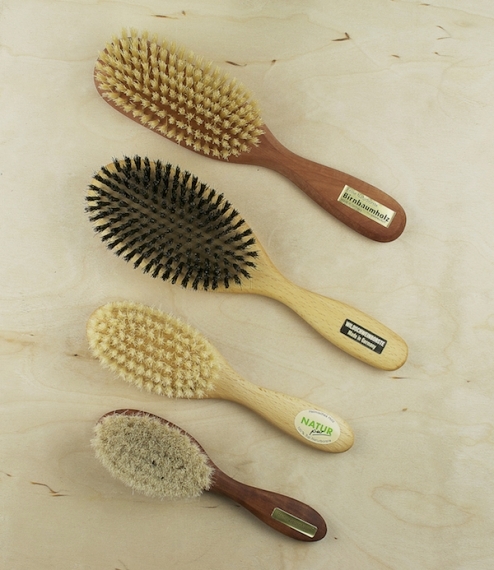 Smaller hairbrushes of either oiled pear-wood mounted with seven rows of soft white goat-hair for smoothing the downy hair and gently massaging babies' scalps, or waxed beech mounted with seven rows of slightly stiffer natural bristles to ease the styling of children's hair without scratching or pulling. 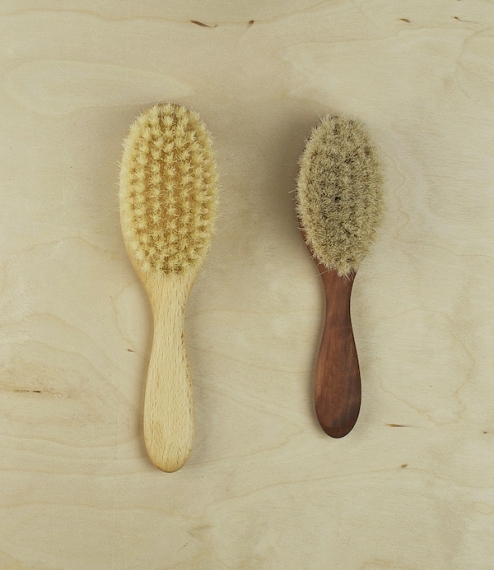 Both are made in Germany by a small but long established company of brush-makers who specialise in natural materials, and artisan handmade brushes. 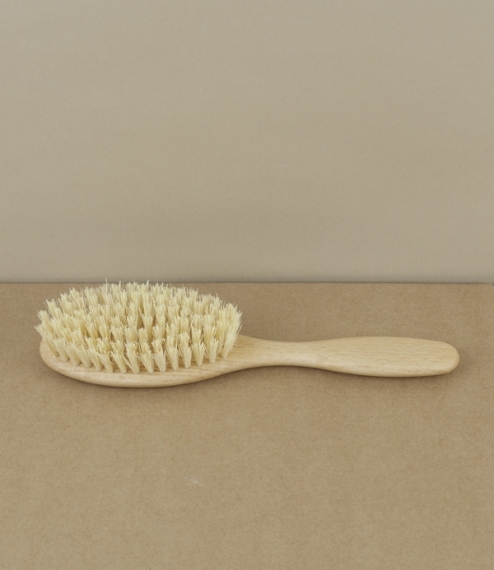 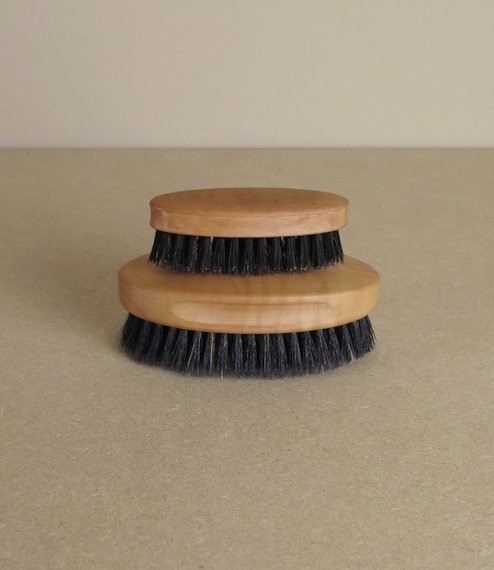 The baby hairbrush measures about 16cm long, the children's about 18.5cm. 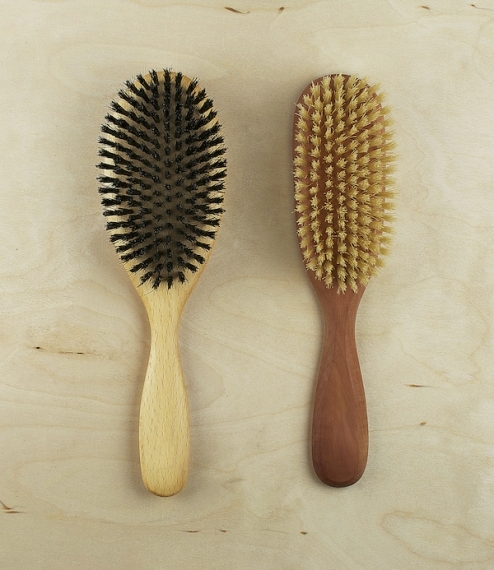 Two pictures show the adult brushes for comparison.